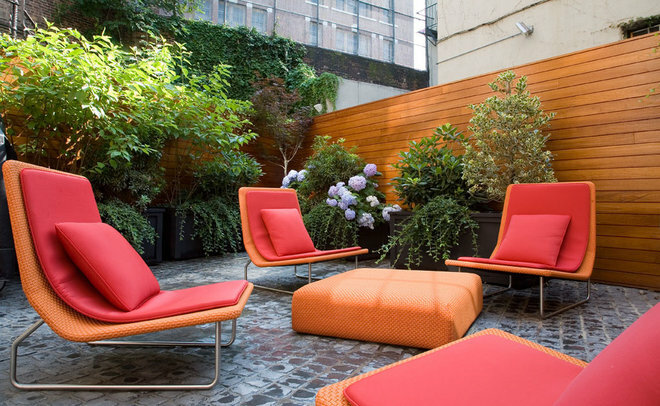 Outdoor furniture can be badly affected by the weather, especially when autumn brings wind, rain and falling leaves to your backyard. 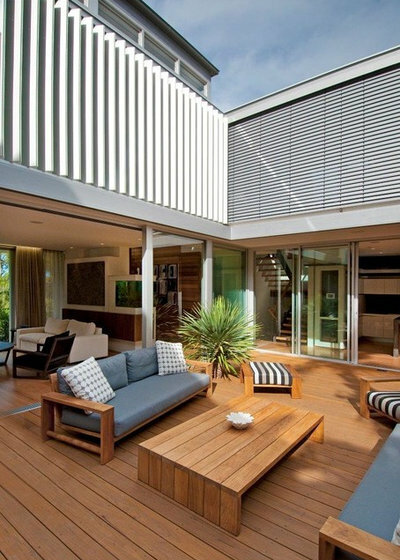 Luckily there are easy ways to keep the materials in tip-top shape – be it timber, fabric, metal, aluminium or synthetic wicker. Get your bucket, turn on the garden hose and get ready for a clean fest in the great outdoors. 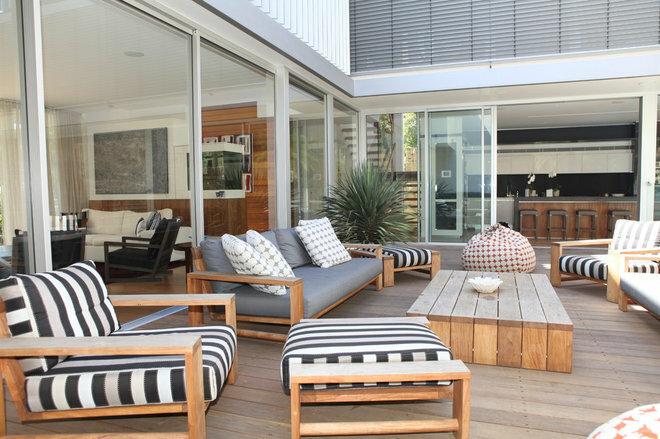 When it comes to timber furniture, tropical hardwood requires minimal maintenance. It’s a fantastic material, being both weatherproof and termite-proof. To keep the furniture in great condition, get ready for a serious scrub. First, use a stiff brush to remove any oil and dirt. Then wash the furniture with a combination of dishwashing liquid and bleach, using a gentle rag. Once a year, it’s worth applying a sealer, stain or finish to timber furniture for long-lasting protection. This stops any warping or splitting over the years. Remember the old days when any cushion left outside overnight would eventually be covered in mould, impossible to clean and a little stinky? Fortunately, the latest ranges of outdoor soft furnishings, made of woven fibres, are almost invincible. 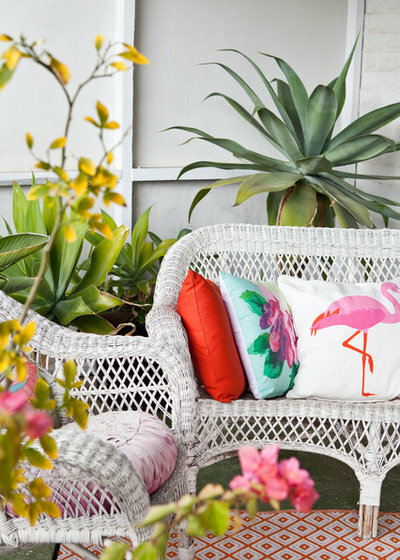 To keep sofas, chairs, ottomans and cushions looking like new, simply brush off any loose dirt, then hose it down. Next, combine water and detergent or mild, natural soap. Grab a soft bristle brush to remove any dirt. As a finishing touch, rinse all the furniture thoroughly then leave to dry in the sun. 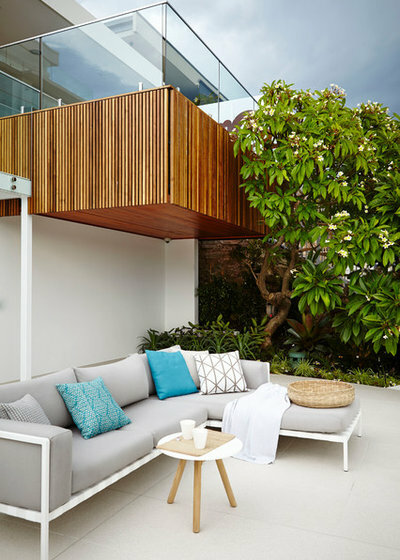 While this sofa is positioned under a cantilevered balcony to protect it from the elements, it will still need an occasional clean. A wash-and-wipe is a great way to get rid of any unsightly possum poo or light staining. To keep the sofa looking like new, many have covers that can be removed and run through a washing machine. However, don’t even think of unzipping the covers before you’ve checked with the manufacturer. During autumn, the weather can change from one day to the next. 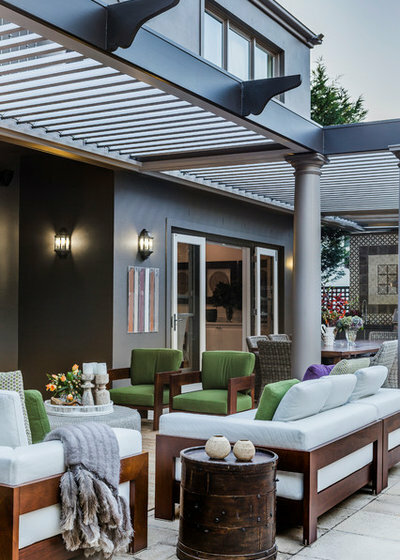 While this opening-and-closing louvre roofing system protects the furniture from sun and rain, it’s not a foolproof solution. 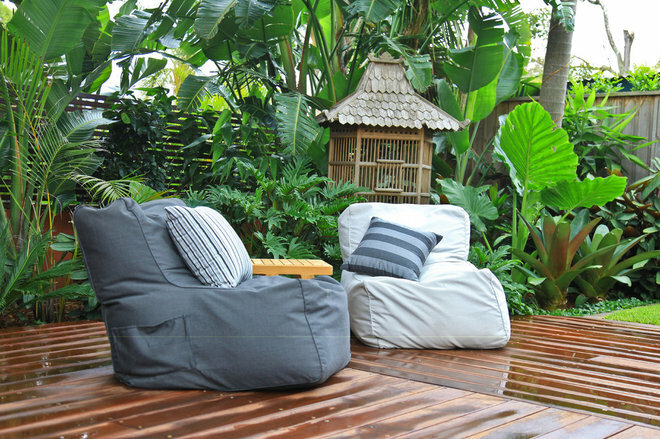 The lounge cushions are going to get wet and if the rain sets in, they are going to develop mildew. This can create spots on the fabric and a musty smell. An effective way to kill mildew is with bleach – however, it must be heavily watered down. Mix one tablespoon of bleach with one cup of water and try it on an inconspicuous part of the fabric. If all is well, use the same ratio of bleach to water to obliterate all signs of mildew. Then wipe with a damp sponge and let the cushion sit in the sun for an hour. 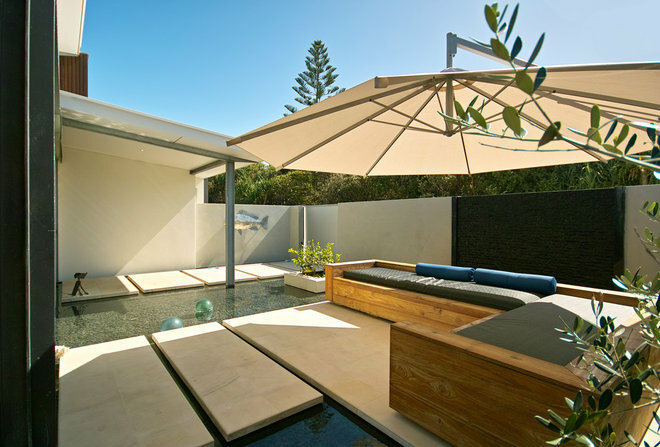 A patio umbrella provides ideal shade in any outdoor zone or pool area. But since it’s exposed to all weather extremities, it’s also prone to mould and mildew. For a quick clean, open the umbrella, then wipe away the mould – as much as possible – by filling a bucket with a mix of warm water and white vinegar. Grab your backyard’s favourite weapon – a scrubbing brush – to clean the umbrella (this helps remove any remaining mildew). As a finishing touch, give the umbrella a real hose down, then let it dry in the sun. It’s tempting to leave your bean bag out in the elements for months on end, but it’s not really the greatest idea. What’s that smell, you wonder at the end of autumn. It’s that evil mould and mildew, due to the exposure to moisture. The best solution is to undo the bean bag’s zip and remove its outer cover for a good soak. Read the instructions – you might even be able to put it in the the washing machine (delicate cycle, please!). It’s also possible to soak the inner liner but if it’s too mouldy, it’s time for a replacement. Woven wicker, aka synthetic or faux wicker, comprises a welded aluminium frame with a powdercoated colour to create the classic wicker look. This new and improved material is super durable and oh-so-stylish. A quick spray with a garden hose takes away any grime, then get a bucket and cloth to wipe it down, using soap or detergent. And don’t forget, rinse all the furniture and let it dry in a light, sunny area. But before doing this process, be careful – if the wicker work has actually been painted, it’s possible for the water to strip it off. 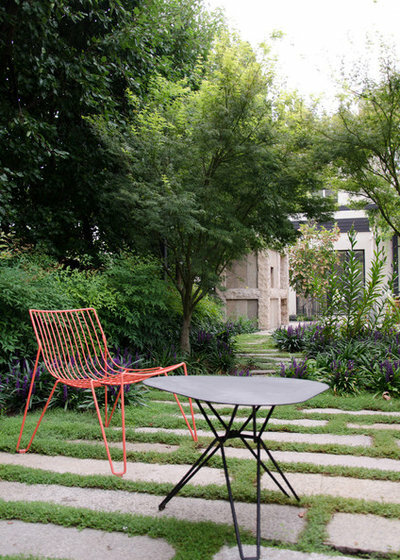 Metal furniture has a protective finish, making it hardy and long-lasting. It just needs a little TLC to keep it looking like new. The first step is to wash the synthetic top-coat – simply wipe it down with a soapy detergent. Over the years, the coating may have started wearing away, thanks to all those little droppings from magpies and lorikeets. This acid can eat through any of the furniture’s weak spots in the finish. The trick is to wipe it away ASAP – keep the kids on alert for any naughty kookaburra ‘presents’ on the outdoor couch! If the coating has worn away, it’s time for a paint job, topped off with a clear metal varnish. 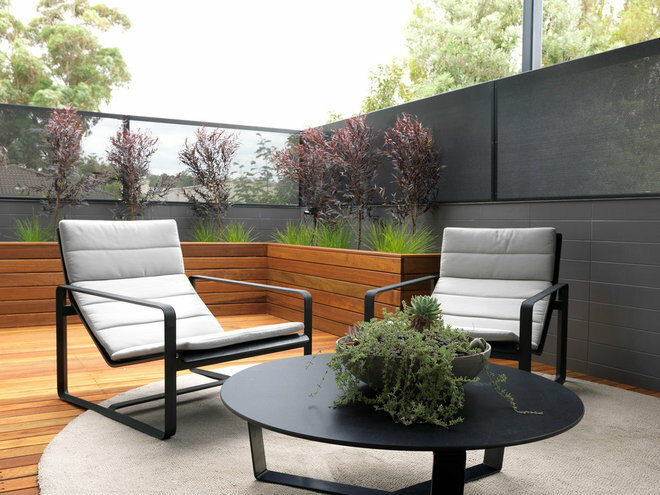 Aluminium furniture has a durable powdercoat finish, making it ideal for an outdoor entertaining zone or pool area. For a quick clean, use a spray cleaner such as Windex, then wipe it with a soft, micro-fibre towel. Finish it off by washing away any residue with hot water. If stains are hard to remove (who spilt that red wine on the daybed? ), fill a bowl with hot water and laundry soap, then wipe it off with a soft towel. 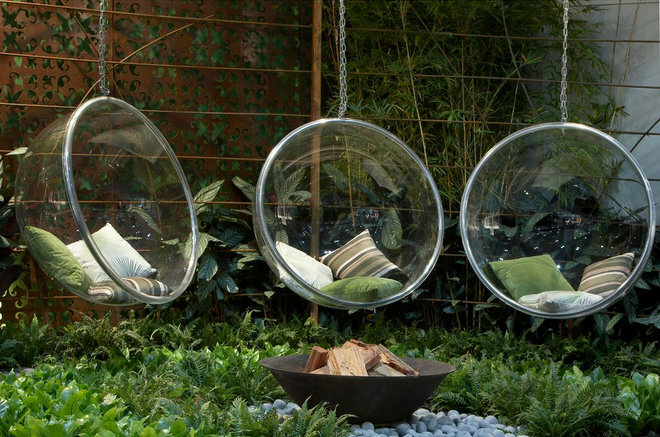 The see-through look of these perspex hanging chairs makes a small space seem larger – but keeping them clean takes a little bit of commitment. For a quick clean, forget about any commercial window-cleaning products – they contain ammonia, which actually eats into acrylic. Go for the tried-and-tested option: use detergent and lukewarm water for a gentle clean. And to avoid any scratches, make sure you don’t do any dry dusting – it can actually grind the dirt into the acrylic surface, which causes hard-to-remove scratches.